Scythe introduced the Ninja 3 Silent Version processor cooler, it will be available within two days for 37.90EUR (excl. VAT). 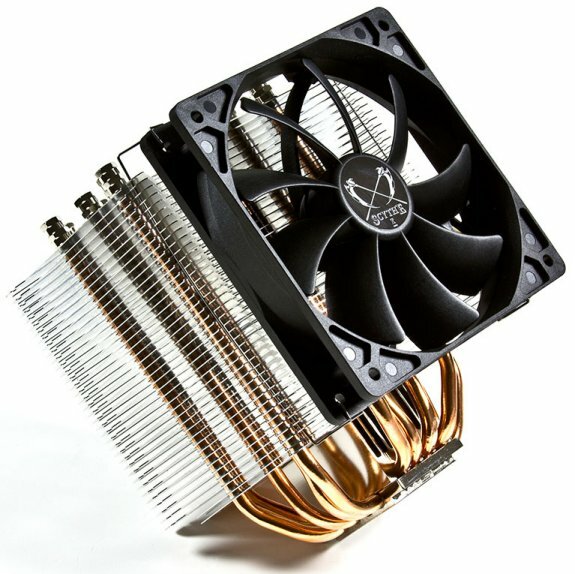 This heatsink features a nickel-plated copper base, eight heatpipes and a 120mm Slip Stream fan that spins as 800RPM with a noise level of 10.70dBA and airflow of 40.17CFM. The cooler measures 120mm x 120mm x 160mm and weighs 1040g with the fan included. Japanese cooling expert Scythe is hereby announcing a special edition of Ninja 3 CPU Cooler. Silent Version of Ninja 3 CPU Cooler is modified with the aim to create a specially silent operating CPU Cooler. While normal Ninja 3 version comes with a PWM controlled fan operating in a range from 470 to 1.900 rpm, new Ninja 3 Silent Version is equipped with a Slip Stream 120 mm fan (SY1225SL12L) which is spinning constantly at a fan speed of 800 rpm. Hence allows the CPU Cooler to operate at the impressively low noise level of only 10,70 dBA. At the same time the attached Slip Stream 120 mm fan is able to create an airflow of 40,17 CFM, respectively 68 m³/h. Thanks to this modification overall weight of Ninja 3 Silent Version could be reduced to 1040g (37.04 oz.). 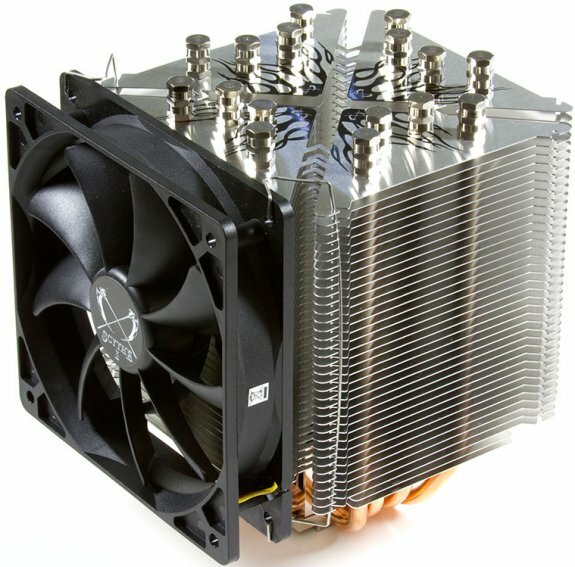 Main heatsink has not been modified and is furthermore equipped with total of 8 high-quality copper heatpipes which are connected to the nickel-plated copper base-plate. Ninja 3 Silent Version covers all current, and previous CPU Sockets such as Intel socket LGA775, LGA1155, LGA1156, LGA1366 as well as AMD socket 754, 939, AM2, AM2+, AM3, 940, including the new socket AM3+ and FM1. Scythe Flip Mount Super Backplate 2 (F.M.S.B.2) assures safe fit by using a backplate and screw mounting system which was introduced with the normal Version. Silent Version of Ninja 3 (SCNJ-3000-SV) will be available on the market as of September 2nd 2011 for 37,90 EUR (MSRP, excl. VAT/Tax).